Welcome to Job Interview & Career Guide! The purpose of this blog is to help job seekers and those who want to advance their careers. Why is it so hard to find a job these days? Let’s face it. Getting a job today is quite different from a decade ago. We live in an increasingly competitive world. Just like you, many people are struggling to find a job – especially one they really want. But first, you have to make it through that all-important initial hurdle: the job interview. A job interview is one of the most important interactions in your life. And yet, unfortunately, it only lasts about an hour. That’s all you get. And within that short span of time, you have to convince someone that you are the absolute best candidate for the job. So how do you do that? This blog will help you with tips, advice and coaching – the content is free. 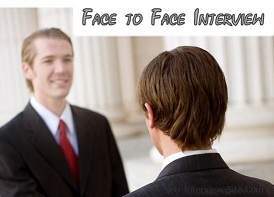 This index page contains links to the most read articles on job interview questions and best answers. Top link list of interview questions and answers. The index page contains links to the most read articles providing tips and coaching for your interview preparations, salary negotiations and more. The section provides examples and advice on writing resumes and cover letters. Make use of this step by step Job Search guide on how to find jobs, where to find job listings, personal branding and networking, including the use of social media networks for a job search. 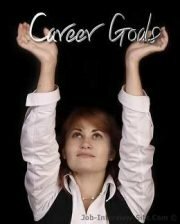 Hundreds of articles on career enhancement and career coaching. It also provides hot information on new trends and career opportunities. The blog is not only complete and free job interview guide but also provides free resume writing tips and online career guidance for students, people who are just starting out or experienced professionals. Management Positions – Project managers, team leader, high level executives (CEOs) and leadership interviews. Marketing & Sales positions – Marketing managers, sales managers, salesmen, pharmaceutical sales and retail managers. Customer service interview tips – help desk, customer care and technical support. Medical positions interviews – Doctors, nurses, physician assistant and more. Finance positions – Accounting, investment banking, business analyst and bookkeepers. Teaching Interviews – Elementary teachers, teacher assistant, headteacher and special education. Nursing Interviews – Interview Tips for different types of medical nurses. Engineering Interview – Interview tips, questions and answers for different types of engineers. Browse to the above pro. interviews sections for more details. Feel free to bookmark this blog and visit as often as you like. Read our articles, print them out for later, and, hopefully, recommend us to your friends. If you want to use our articles on your website, in your newsletter or anywhere else on the Internet, then you can only link to the article and not re-publish it. Biggest Interview Mistakes: Avoid this Common Mistakes!